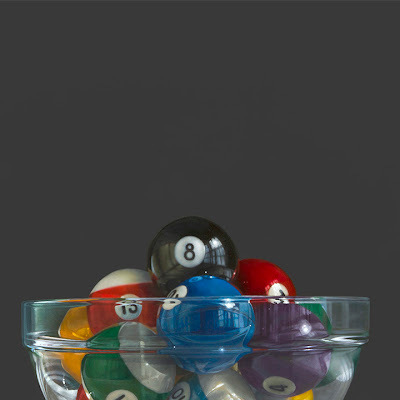 It has been ages since I painted a bowl filled with pool balls, but if you check the number of this particular version you'll see that I've spent a lot of time with this subject. So, when Reh's Galleries asked specifically for a new one I jumped at a chance to meet back up with an old friend. 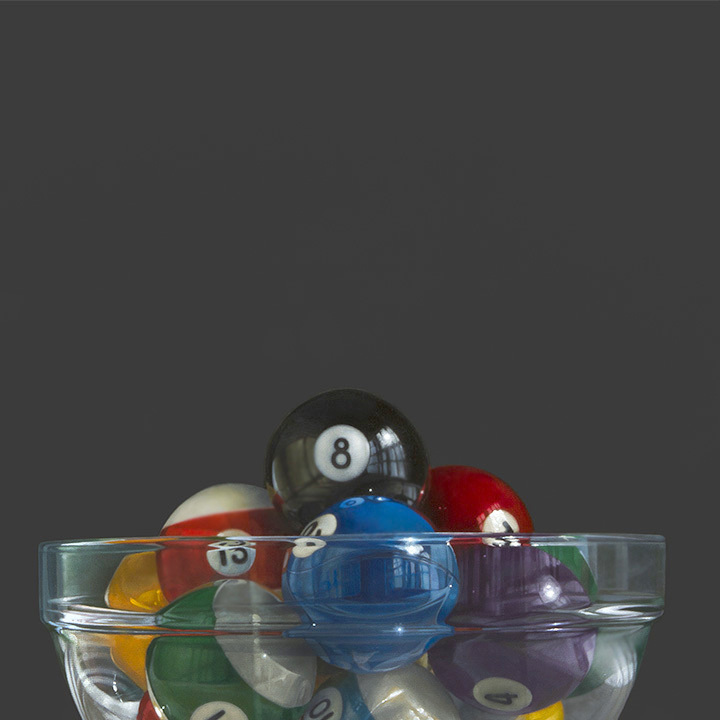 The Pool Bowl took a full two weeks, longer than I anticipated, and as I completed it I suddenly realized that I was quickly running out of time to complete work for my show at Tree's Place coming up at the end of August. I was hoping to do two more for that show, but I've got a little less than a month to have them all finished, and the one I just started is quite large, so it's going to be close. There's a chance I may come up one short. 2013 has been a year of tight deadlines and it looks as though that trend will continue for some time yet. I'm emailing this image to Cape Cod today in hopes that it will not be too late to be included in the Tree's Place catalog for the fall show. The printer deadline was the end of June, so it may be a lost cause. This is a really cool vintage "Juice O Matic" orange squeezer I picked up at an antique store the last time my brother Doug was in town from New York. It's fitting that I complete this during his most recent visit which ends today. I thought this particular piece would fit in nicely with the other two "fruit based" paintings I have already completed for our show. 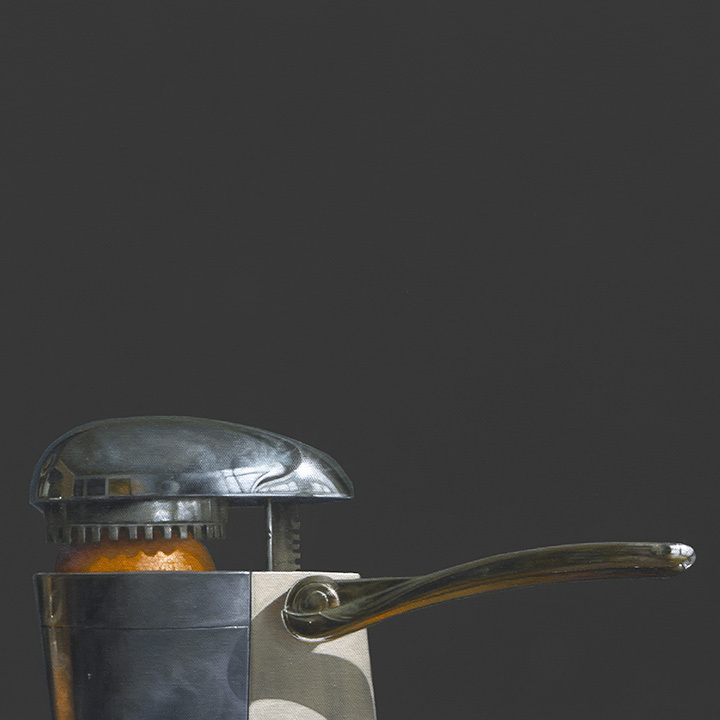 Now I need to divert my attention from the show for a little while to complete a couple of paintings for Rehs Gallery. When those are done, it's back to work on the last two paintings for the show, and after that I'm dedicating myself to C. K. Contemporary Gallery in San Francisco. They've been extremely patient, and it's time to repay their kindness.